Sometimes invasive procedures are required to restore teeth and gums to a positive state of health. If regular treatments have failed to reduce tooth pain or improve your oral functions, you are likely a good candidate for surgery like this. Affordable Dentistry and Orthodontics has a team of oral surgeons in Dumfries, VA, that are able to perform treatments for a variety of dental issues. From replacing teeth, to removing infected dental pulp, you can depend on us to meet all of your oral care needs. One of the specialists from our oral surgery office can even tailor the procedure specifically for your situation, ensuring that immediate results last for many years to come. Tooth Extractions—Wisdom teeth removal is important to protect the bite and alignment of your teeth. To prevent the spread of disease or infection, severely damaged teeth must be removed as well. 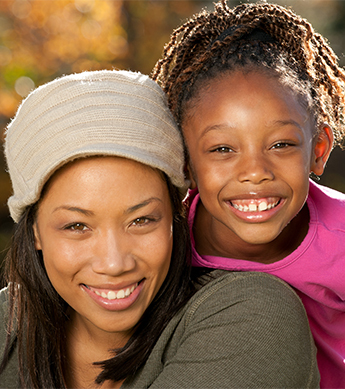 We provide tooth extractions so that patients can eliminate the risk of future dental issues. Root Canals—The root canal is the part of the tooth that houses dental pulp and nerves. When this becomes infected it can be incredibly uncomfortable, and sometimes painful. We perform root canal therapy that removes all harmful bacteria and allows you to return to normal functions without any difficulty. Dental Implant Placement—This is a lasting tooth replacement solution that is able to replace a single missing tooth or multiple missing teeth. The dental implants are placed directly into the gums and allowed to create a strong bond with surrounding bone. Crowns & Bridge Placement—Dental crowns are tooth-shaped caps that add strength to the existing tooth structure. Typically these crowns are placed on teeth that have undergone root canal work, or that have multiple fillings. Dental bridges are devices that replace several teeth by literally bridging the gap created by missing teeth. Our oral surgery office offers new patient specials that can prepare you for an upcoming procedure. For only $59.99, you can receive multiple exams, complete x-rays, x-ray review, and dental cleaning. After this appointment, you can meet with either our founding dentist or associate dentist for a consultation and learn more about the surgical procedures we provide. In addition, we work with a range of insurance providers, including Medicaid and Dominion/Kaiser, to help cover the costs of these services. Learn more about the procedures provided by our oral surgeons. Contact us and you can even set up a consultation at the next available time. Our oral surgery office serves the needs of Dumfries, Montclair, Stafford, Manassas, Quantico, and Triangle, Virginia.